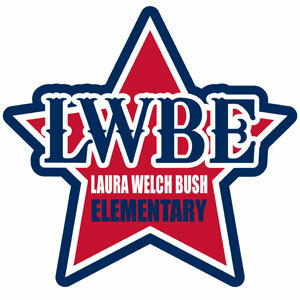 The Laura Welch Bush Elementary PTA provides funds to support, enrich and enhance the education of each LWBE student; making each childs potential a reality. ———- The LWBE PTA is a powerful voice for all children, a relevant resource for families and communities and a strong advocate for the education and well-being of every child. The LWBE PTA funds field trips for each student in every grade level, new technology, new library and text books, supplies for Art, PE & classrooms, Spanish Program, Multi-Cultural Day, Watch DOGS, Reflections and much more!